Daryl Johnson (Worcester Park, United Kingdom) on 15 February 2010 in Architecture and Portfolio. 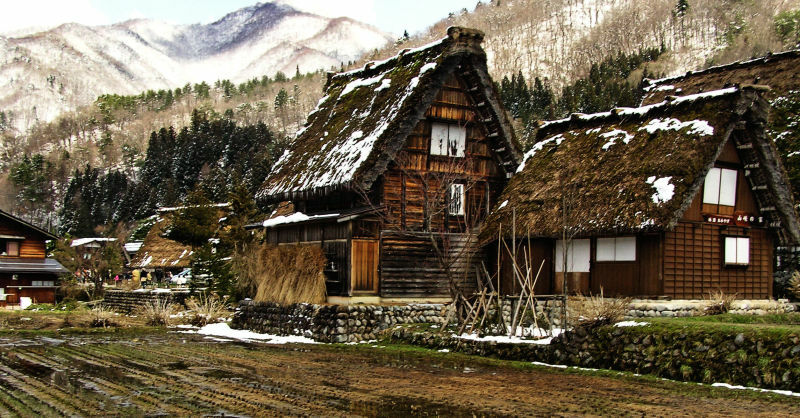 Gasshō-zukuri are the traditional houses found in the area, famous for their steep, pointed, thatched roofs. They look by far much better in winter, they suddenly get colours and textures and substance! This is a very beautiful shot that nmade me wonder first...thought it was a painting! @Japanalia: Thanks Gabriela. I would love to stay here in deepest winter, to see everything covered with snow. I wonder what life must be like at that time? Beautiful picture at winter time. I love those old houses. Sorry if you had an other page when trying to watch my new blog. It was replaced by my host but everything is OK now. A wonderful painterly picture Daryl. Well done! Great treatment, we seem to be transposed into the Middle Ages here! I love the painterly effect of your processing here. great landscape, beautifully composed & finished. Superb effect on this image, the mountains look like watercolour. Yes! I love this image. It's gorgeous!